Futaba R3008SB is a bi-directional communication 2.4GHz Futaba compatible with Futaba radio (eg: Futaba 10J) using the S.BUS2, Standard PWM and S.BUS output ports. Note: This receiver is not compatible with S-FHSS/FHSS/FASST/FASSTest systems. 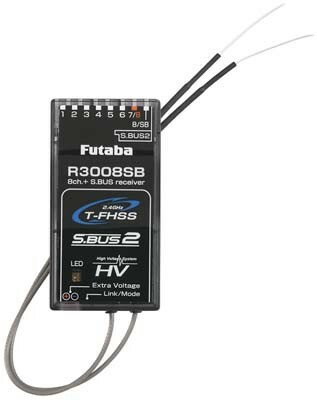 Futaba R3008SB receiver can also be programmed to "Mode E" to output PWM channel 8,9 and 10 from the first 3 sets of receiver pins; and S.Bus signal from the last set of receiver pins. This is especially useful when the first 7 channels can be connected to devices (such as DJI NAZA, NAZE32, CC3D, Pixhawk, APM2.6, etc) via S.Bus connection. 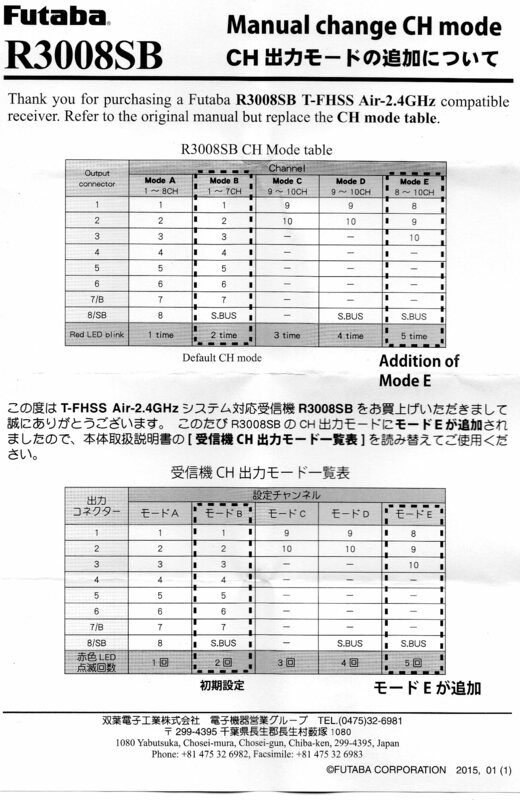 Channel 8, 9 and 10 can be used for camera gimbals control which connects directly to the R3008SB.